Keep your hands from getting numb with the Neff Character Men's Mittens from The House. These mittens are made with a PU coated NTX chassis material that's treated with a durable water repellent for a defensive layer that keeps your hands protected against moisture. The fiberfill insulation works to provide a warm interior that retains heat and keeps your hands from cooling down, while the Bemberg liner aids in adding more warmth for extra comfort. 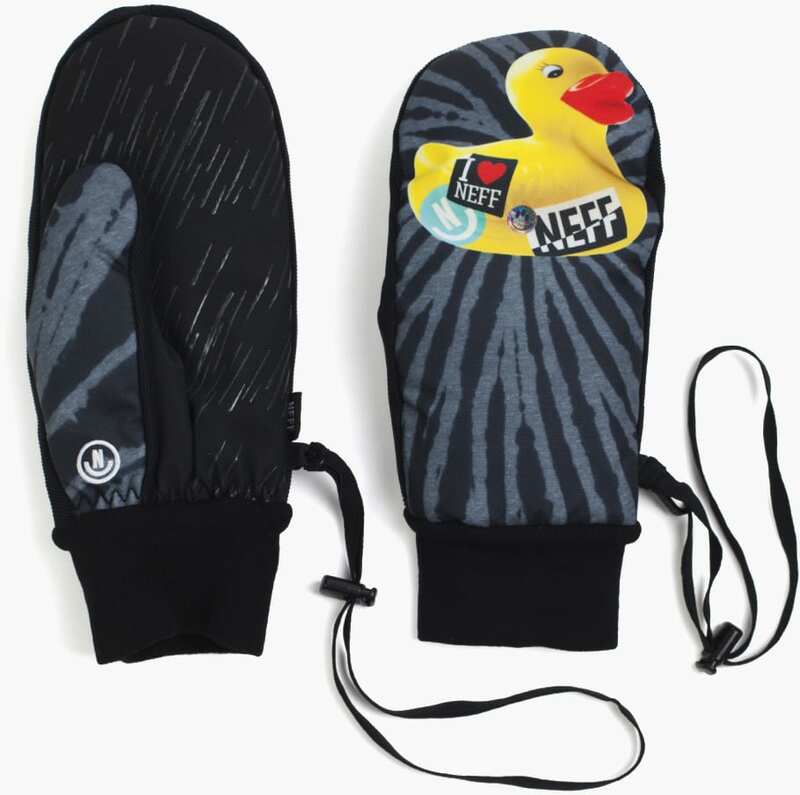 The depossed suregrip palm adds friction to these Neff mittens so you can easily carry things. With the elastic rib cuff, the fit forms nicely to the hands and the removable wrist leash allow you to adjust the fit on the fly when you're outdoors. Featuring quirky animal designs, the Neff Character Men's Mittens are a stylish and comfortable choice for when you're braving the winter wilderness. I love these mitts. This is my third pair, only because I keep losing them!! Warm and seem pretty durable. Cool design. These gloves are sick looking and keep your hands dry all day long. This mitt has changed my life. 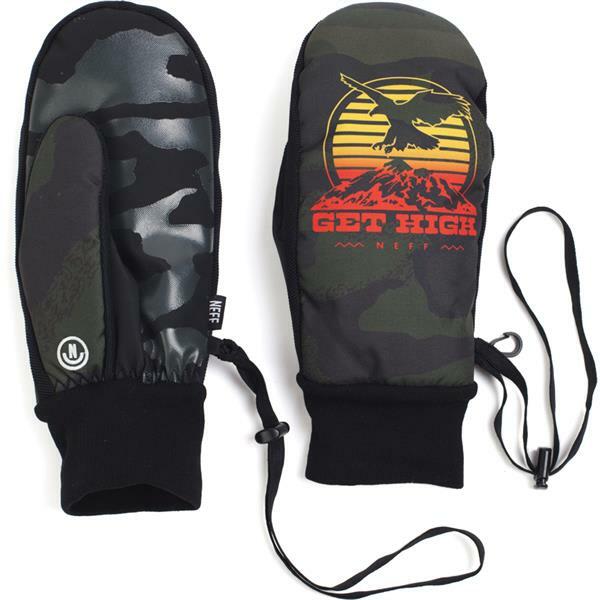 Before owning this mitt I couldn't shred at all but now my stoke tank is on double full and I my vibes are definitely far out. If anyone out there is thinking about purchasing this mitt do it because if you don't you will never truly be happy. Honestly it was amazing!!! Super warm on a snowy day up on the mountain! Easy to access phone, water, goggles, helmet pretty much anything because of the straps for your wrist! 10/10 would recommend! And for a great price! These are really warm mittens its just that they get a little bit wet after a day of using them. They do get wet inside after awhile through the lining around the glove. Some of the warmest gloves I’ve had. Don’t even need liners with em.